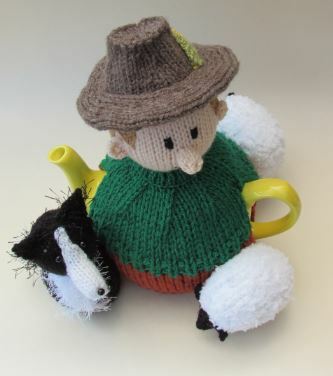 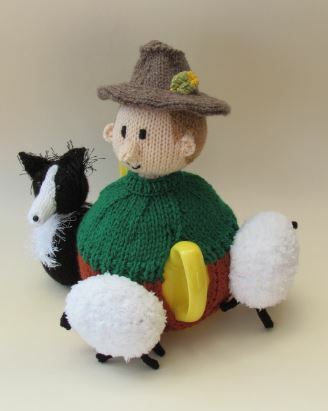 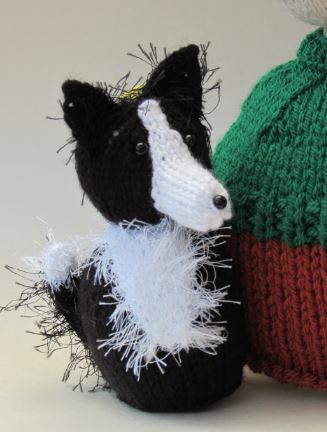 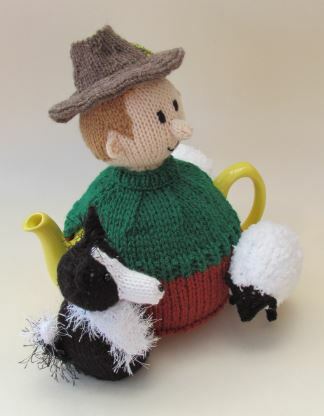 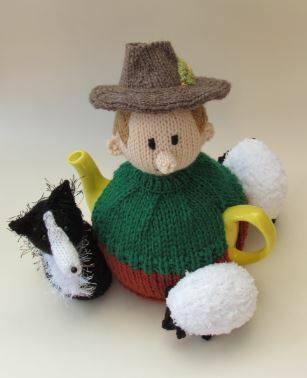 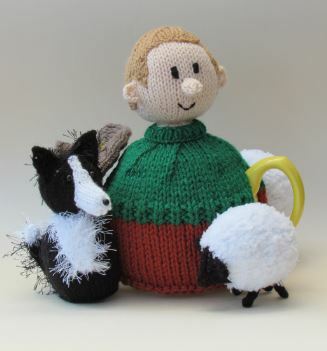 One man and his dog... and his two sheep; are featured on the sheep farmer tea cosy. 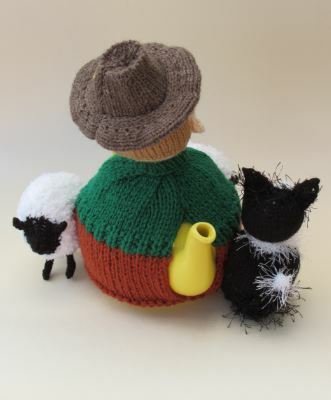 A picture of the British countryside and British sheep farming. 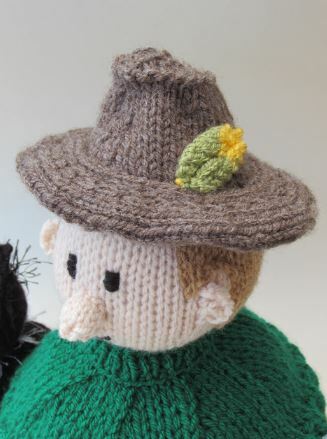 The Farmer him self has a removable hat with a feather in it, and he's wearing brown trousers and a dark green sweater, earthy colours that reflect his working environment. 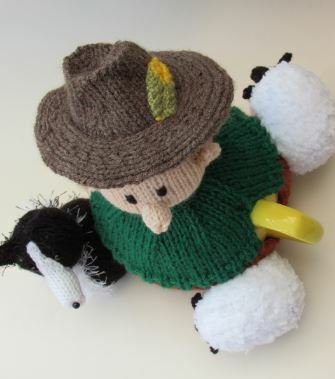 The Farmer has the traditional border collie sitting patiently by his side ready to obey his masters commands to round up the sheep, even that sheep that is straying behind the farmer - we don't want anyone left behind! 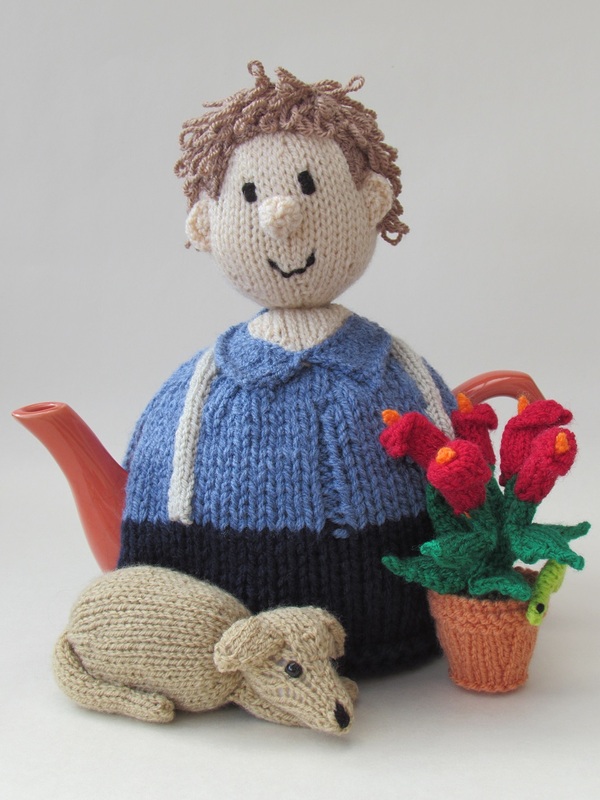 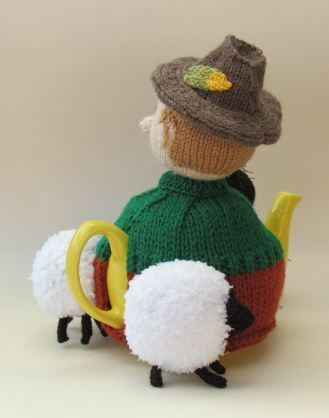 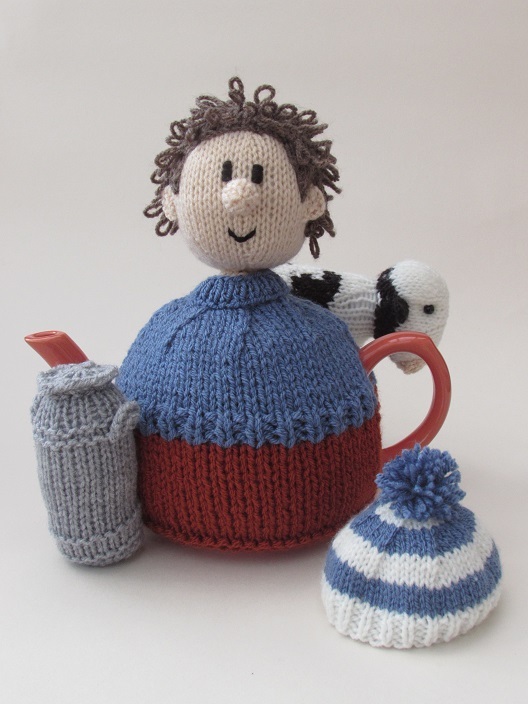 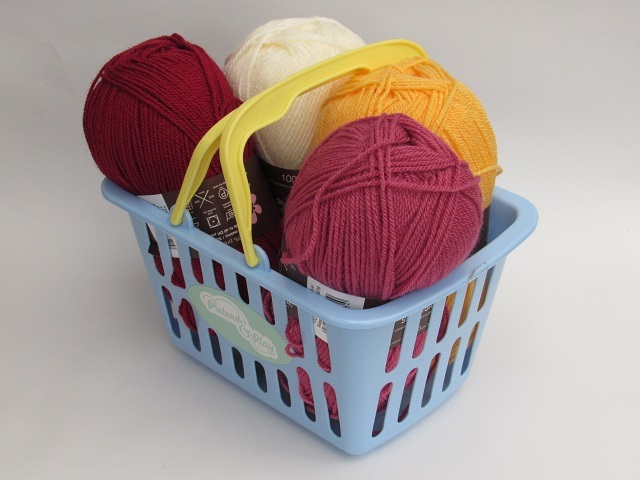 The Sheep farmer tea cosy is knitted with double thickness wool (straight from the sheep!) 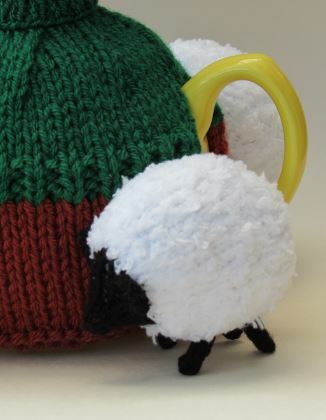 for extra warmth. 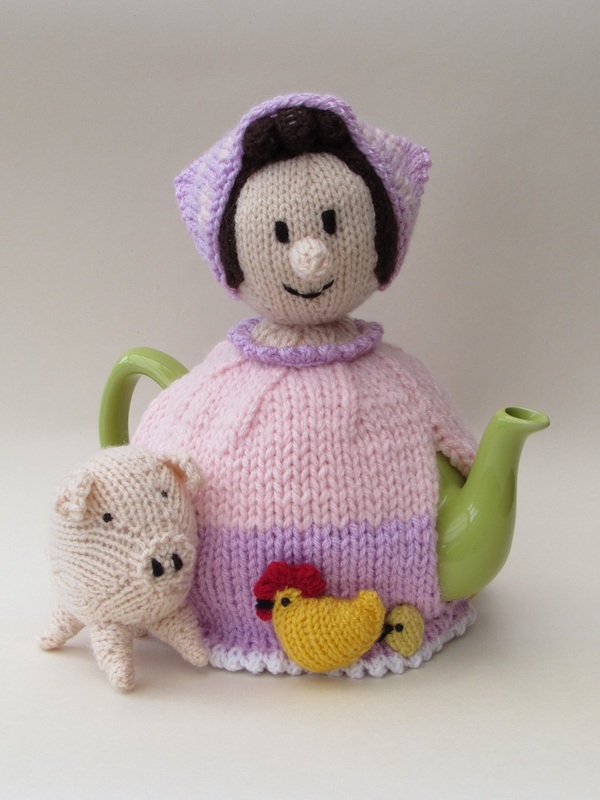 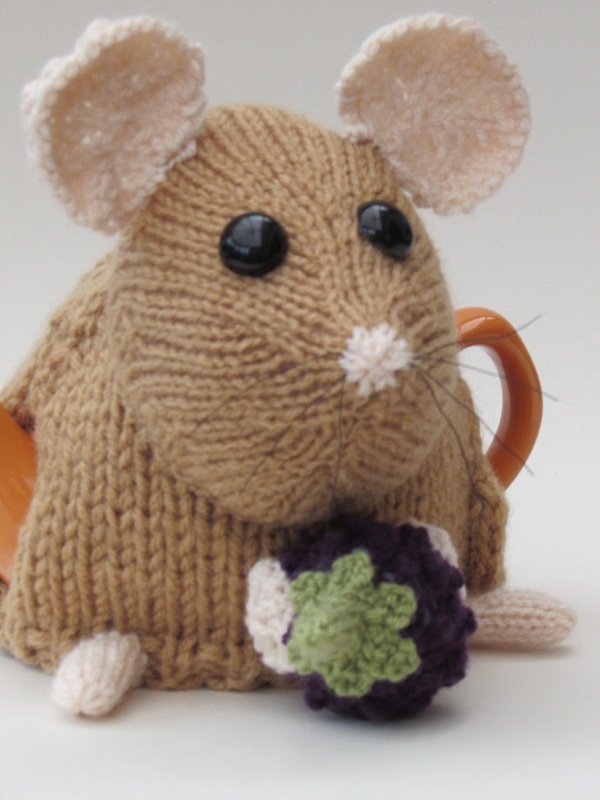 The Knitting pattern is easy to follow and uses only the basic stitches and shaping stitches. 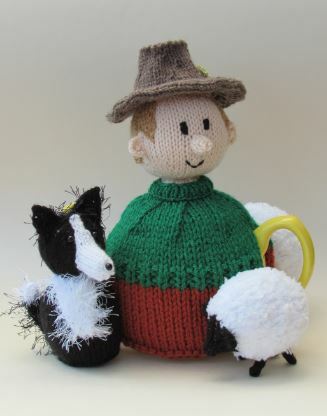 We'ill round up the sheep and then round up a cup of tea and chocolate biscuits.